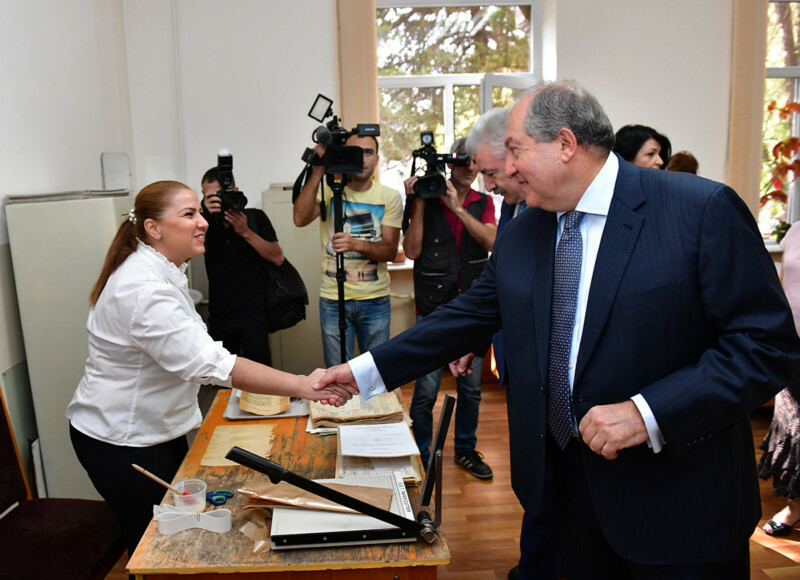 Today, President Armen Sarkissian visited the National Archives of Armenia (ANA) with a view to getting acquainted with the ongoing activities and programs. 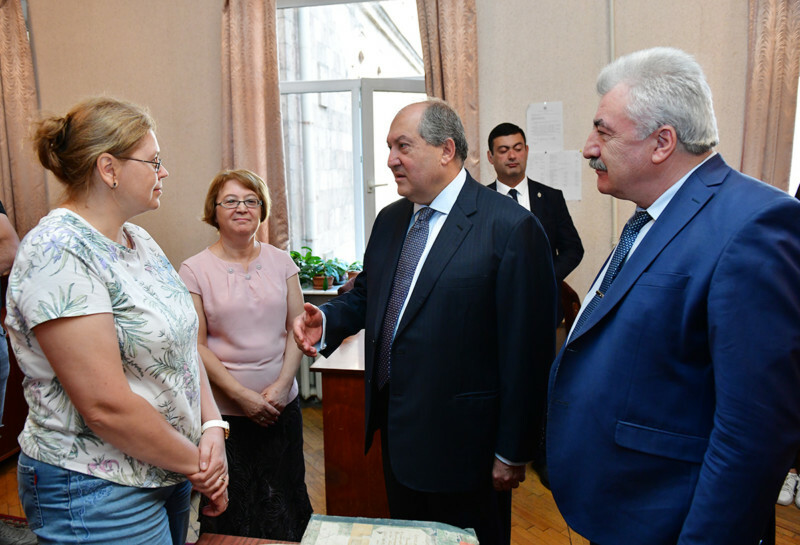 ANA Director Amatuni Virabyan accompanied the President to the Citizens Reception Hall, after which he visited the Documents Processing and Rehabilitation Laboratory and the Laboratory of Electronic Documentation and Digitization of Archival Materials. Amatuni Virabyan informed that the digitization efforts started as early as in 2004, with 250,000 pages of printed matter, as well as 1500 units of films, photos, background soundtracks digitized each year. Rare and unique documents are being digitized first and foremost. 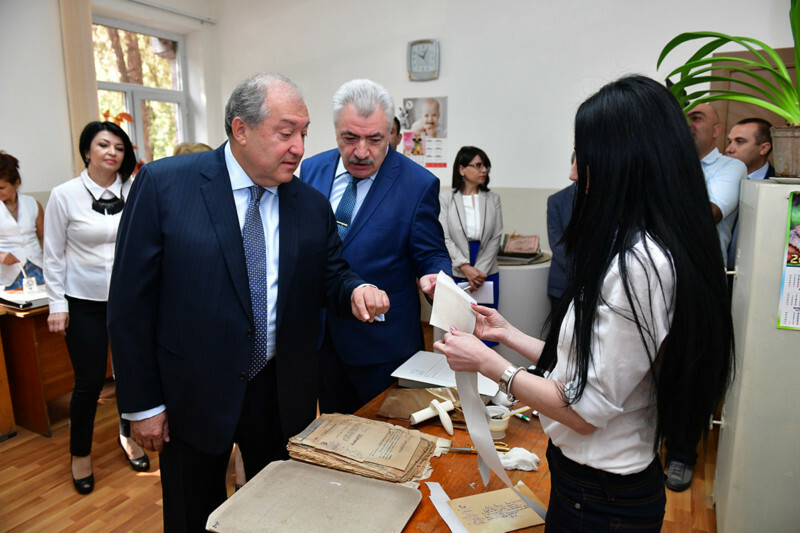 In the National Archives Gallery, Armen Sarkissian got acquainted with the rare documents kept in the archives. 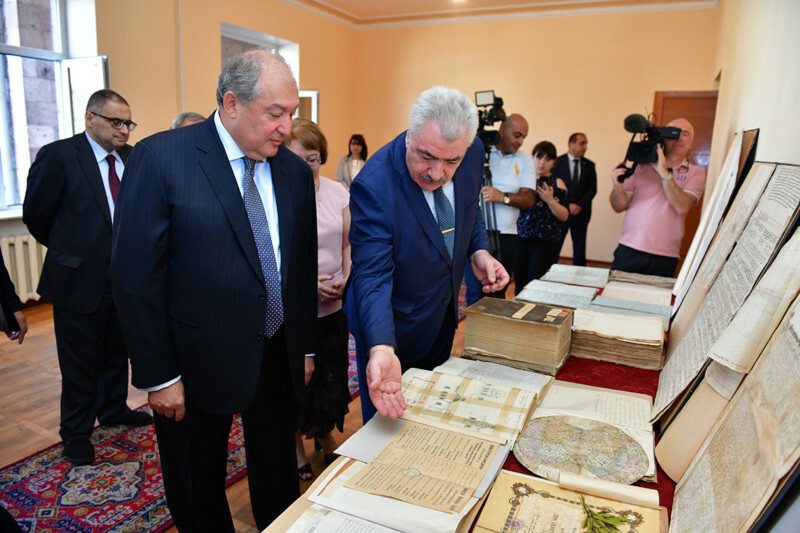 In particular, the President was shown a deed signed by Shah Abbas in 1607 on Land Benefits Granted to Armenian Meliks in Kashatagh, the 1830-1831 Karabakh (Upland and Lowland) census results, etc. 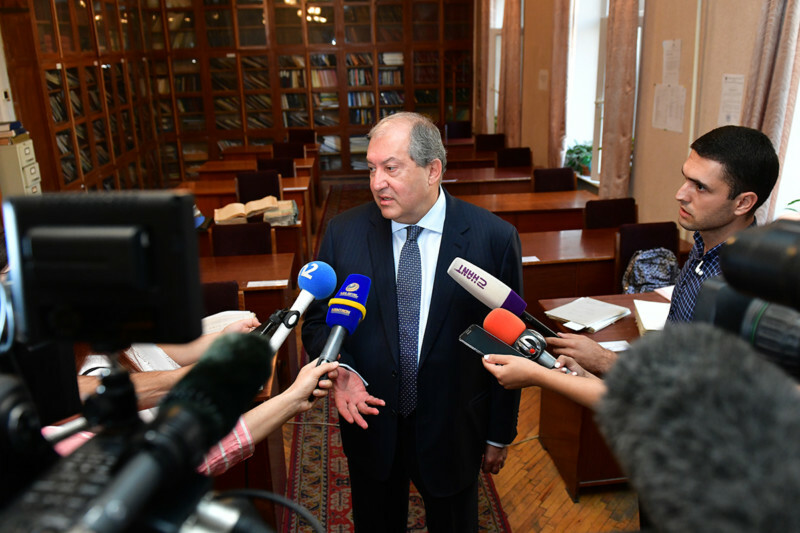 President Armen Sarkissian next visited the Reading Room, where he talked to scholars and young researches. In conclusion, the President toured the Old and New Archives. Answering journalists’ questions, the President noted that archives are not a purely documentary database for countries. “Every single document features a living person, events, history. If these records were missing, we would not have been able to reconstitute what actually happened in the past. Documents are not mere statements of historical facts: history is not just a fact, or a record – history is our past, it is part of our identity, and if we are to build a future, we definitely need to face our past, we must understand who we are. History and archives are those institutions that help us formulate our identity in essence rather than on an emotional note. Our identity is crucial for our future steps,” the President said.